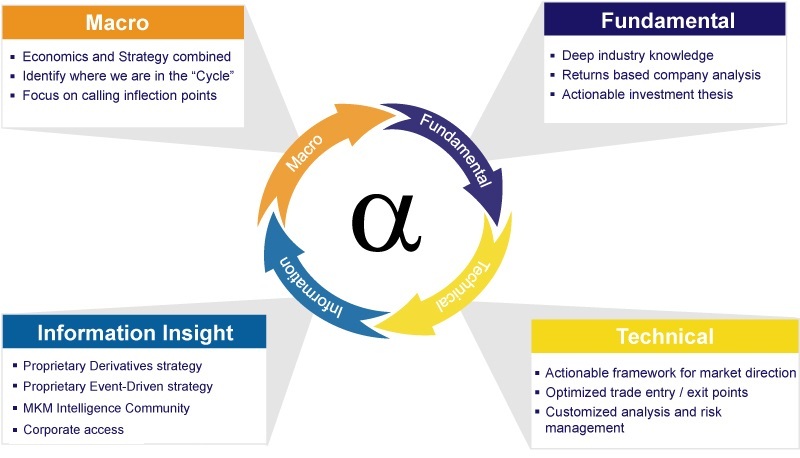 Alpha generation through actionable macro, fundamental and technical analysis. The goal of MKM’s entire research team is to help our clients generate alpha within their portfolios by providing timely, insightful and actionable proprietary research. By looking at the world from both a top-down and bottom-up approach, we help our clients put all the pieces together for the most complete information to support their decision making process. 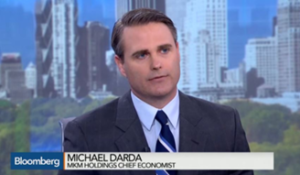 Michael T. Darda, MKM’s Chief Economist and Market Strategist, is a frequent guest on financial television and radio, especially in times of uncertainty. 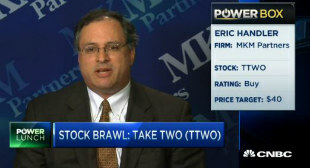 He is frequently quoted in the WSJ, NYT, Barrons and other financial publications. Having started his career in the Wisconsin state legislature, he understands how the legislative process works and how policy decisions are likely to affect markets. Darda has been a recurring guest at the prestigious Santa Columba monetary conference put on by Nobel Prize winner Robert Mundell. He has also been a guest lecturer at Columbia University, speaking on major market trends that drive markets. A Wisconsin native, Darda graduated with honors in economics and public relations from the University of Wisconsin-Whitewater. Mr. Darda is a purple belt in Brazilian jujitsu under Master Marcio Stambosky. 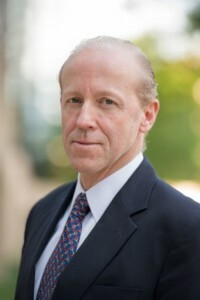 He resides in Connecticut with his two weimaraners and his wife Meg, a healthcare executive. Michael T. Darda, MKM’s Chief Economist and Market Strategist, has a unique approach that combines macroeconomics with market strategy to deliver timely and high-impact actionable insights to clients. 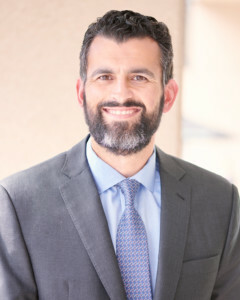 His research is designed to guide equity and fixed income investors toward higher risk-adjusted returns by determining where we are in “the cycle” using leading indicators, the credit markets and business cycle history to identify inflection points. The macro research draws on an eclectic blend of forward-looking indicators and business cycle history to make 6-12 month calls on earnings, GDP, employment, stocks and fixed income markets. Mr. Darda maintains frequent contact with a Washington D.C. – based contact network. These contacts are utilized to determine how the legislative process and policy decisions are likely to affect the markets and specific economic sectors. MACRO BRIEFS – Timely and high impact daily interpretations of economic data, policies and events. STRATEGY REPORTS – These reports include a macro chart book, domestic investment strategy recommendations, asset allocation ideas and equity sector selections. QUARTERLY CONFERENCE CALLS – Mr. Darda conducts conference calls for clients on a quarterly basis to review major themes and the indicators that drive them. The research is aimed at relevant and timely events, focusing on themes and ideas that move markets. Client briefs, reports and papers are distributed via email, fax, and ground mail. Client inquiries are answered by phone or email, depending on the preference of the client. Mr. Darda is available to do conference calls, speaking engagements and meetings upon request. Michael Darda’s research is forward-looking, actionable and focused. Michael is very accessible and client focused. Most importantly, he has frequently gotten it right where the consensus has gotten it wrong. For copies of Michael Darda’s most recent research, please contact us at (203) 861-9060. Extensive industry knowledge and insightful analysis drive actionable investment ideas. MKM Partners’ equity research team was designed to address the unmet needs of institutional investors. Our analysts generate company-specific research, and the sector teams also work with our macro, technical, derivatives and event-driven research teams to identify investment ideas. Our mission is to provide proprietary insights into institutionally relevant companies, and our analysts strive to be thought leaders in their respective industries. To accomplish this mission, our analysts utilize their well-established networks of industry contacts, perform extensive channel checks and generate comprehensive returns-based analysis. The result is tactical stock ratings focused on picking secular winners and losers within consumer and cyclical-based sectors. As with all of MKM’s research products, the dissemination of the information is timely and actionable. Please contact your salesperson for current research and/or to schedule a call with one of MKM’s analysts at (203) 861-9060. JC O’Hara provides clients with actionable technical commentary on U.S. and global equities, commodities, interest rates and currencies. 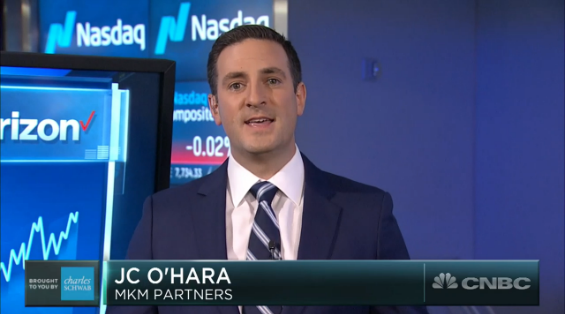 Mr. O’Hara looks at the market on a global basis, taking into account inter-market relationships, sentiment and seasonality, in addition to traditional technical indicators based on price. MARKET COMMENTARY – Weekly report looking at big picture themes, as well as actionable ideas on the sector and single stock level for the upcoming week. INTRA-DAY COMMENTARY – Constant monitoring of the market landscape from a technical perspective. CUSTOM ANALYSIS – Technical Analysis of client’s portfolio or interest list highlighting key levels and inflection points to help with risk management. Clients can expect regularly published research to be complemented by individual attention regarding specific areas of interest. Reports and market updates are sent out via email or instant message (IM). Questions are responded to by e-mail, phone, or IM depending on the preference of the client. Mr. O’Hara is available to do conference calls, speaking engagements, and meetings upon request. Alex Panagiotidis recently joined MKM Partners from Robert W Baird & Co where he worked for two years as a Managing Director heading up the Equity Derivatives department. He has more than 17 years of experience trading equities and equity derivatives for Salomon Smith Barney (Citigroup), ICAP, and Sterne Agee. Mr. Panagiotidis is a Financial Engineer, a Fulbright Scholar, and holds Master Degrees from both Columbia University and the National Technical University of Athens. Mr. Panagiotidis will be working in our Stamford office where he may be reached at apanagiotidis@mkmpartners.com or (203) 340-5178. Alex Panagiotidis, MKM’s Derivatives Strategist, presents derivatives structures to manage portfolio risk based on trading ideas across and outside MKM’s coverage universe. Further, the elevation in equity volatility and the advent of tradeable volatility-linked products over the last several years have generated significant interest in the subject among non-traditional options market participants. Alex’s methodology enables him to forecast the U.S. volatility cycle, which he updates regularly in his strategy work. MKM’s high-touch approach provides clients with customized options market intelligence relevant to their portfolios. This high frequency identification and interpretation of options market activity drives trade ideas for both directional exposure and to manage portfolio risk. DERIVATIVES STRATEGY NOTES – Leverage MKM’s research platform and perform proprietary analysis to develop thematic, event-driven and risk management trade ideas. HIGH FREQUENCY OPTIONS MARKET ANALYSIS – Identify and interpret meaningful options market activity that is relevant to clients’ portfolios, communicated on a high-frequency basis. VOLATILITY STRATEGY UPDATES – Track implied volatility and other options market-derived metrics to guide risk management decisions and drive our outlook for U.S. equities. Clients can expect regularly published research to be complemented by individual attention regarding specific areas of interest. Mr. Panagiotidis is available via phone and IM to discuss derivative trading ideas with clients. For copies of Alex Panagiotidis’s most recent research, please contact us at (203) 861-9060. Options are not suitable for all investors as the special risks inherent to option trading may expose investors to potentially rapid and substantial losses. Please read Characteristics & Risks of Standardized Options and discuss with your professional tax, ERISA, legal, accounting, regulatory or other adviser how such particular trade(s) may affect you prior to buying or selling an option. Charles has over twenty-five years of experience in the financial services industry and has been with MKM Partners since 2012. Charles started at MKM Partners as an Executive Director and was promoted two years later to Managing Director. In July 2016 Charles added the responsibility of Trading Desk Specialist, a role in which he provides commentary about the implications of late breaking news and economic data across various asset classes while also interfacing with both other sales traders and numerous clients of the firm. 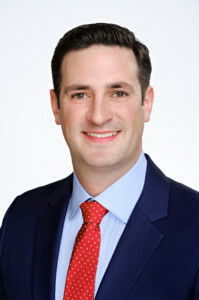 Prior to MKM, Charles worked at Miller Tabak & Co. as a Senior Sales Trader (1999-2012), Horizon Asset Management as a Managing Director (1996-1999) and at Bozell Sawyer Miller Group in Corporate Communications (1996). He also worked for Abernathy McGregor Group, Command Performance Network, Wilkofsky Gruen Associates and Bankers Trust Company. Charles received his Bachelor of Science in Mathematics with a minor in Economics from Pace University and his M.B.A. in Finance from New York University, Leonard N. Stern School of Business. 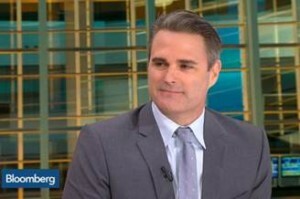 He is regularly featured on CNBC and has been cited in The Wall Street Journal. Charles Campbell, MKM’s Trading Desk Specialist, presents a wide range of financial/ nonfinancial data to identify the critical variables to the day’s trading session. Identifies and explains the major dynamics that drive notable market action overnight across asset classes in Asia and Europe and the implications for U.S. financial markets. This includes drivers of the overall market tenor through a detailed description of notable market action across asset classes from Asia through Europe and to the Americas. 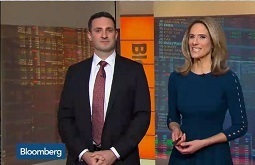 Comprehensive review of significant geopolitical news, unscheduled corporate developments, M&A activity including key terms of transactions, notable shareholder and activist activity and earnings of companies with at least $1 billion of equity market capitalization (note titled “Overnight Commentary”). These include only events, corporate developments, and news releases since 4pm ET that would not be already reflected in security prices during regular market hours. Evaluates all breaking news that may cause selling or buying pressure in one or more asset classes, and communicate this information accordingly to the clients. Clients can expect regularly published research to be complemented by individual attention regarding specific areas of interest areas include Intraday, Market Action and Overnight Commentary. Charles Campbell is available via phone and IM to discuss with clients. MKM Partners’ Event-Driven research team closely follows the universe of event-driven opportunities to generate value-added research and actionable recommendations for clients. Our advice is aimed at enhancing client portfolio returns while helping clients manage and control risk. Unlike most event-driven research departments, MKM Partners does not engage in proprietary trading, and therefore does not compete with client orders. Further, very few sell-side firms provide clients with specific event-driven investment recommendations. MKM Partners provides clients with customized recommendations and ideas on individual positions, as well as advice to help manage and control portfolio risk. Our Event-Driven research team has more than 50 years of buy- and sell-side experience and works closely with MKM Partners’ trading desk and sales/traders to offer clients efficient research and execution capability. For copies of MKM’s most recent Event-Driven research, please contact us at (203) 861-9060. Access the MKM’s CSATrak BD commission management portal. Access MKM published research notes and reports on covered companies.